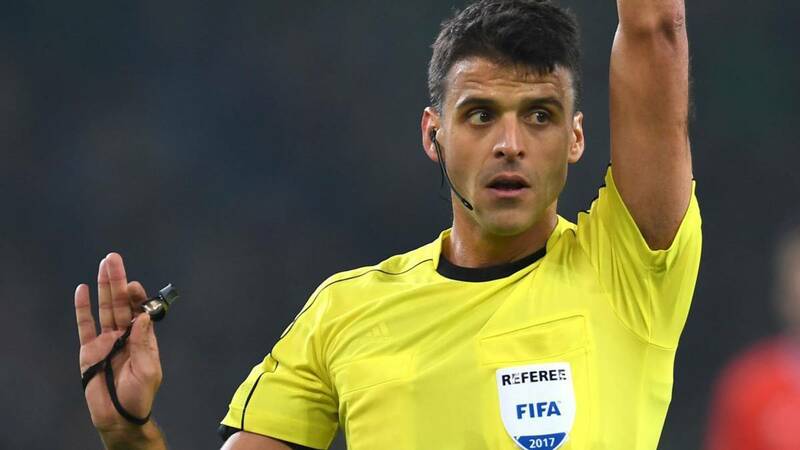 The only Spanish referee who will lead this week's games of the competition will be the Extremadura Jesús Gil Manzano, who will referee Galatasaray-Benfica. The Slovenian Slavko Vincic will lead Lazio-Sevilla, one of the first-round duels of the round of 32 of the Europa League, the Greek Thasos Sidiropoulos the Rennes-Betis, the French Clement Turpin the Sporting of Lisbon-Villarreal and the Romanian Ovidiu Hategan el Celtic-Valencia. On the other hand, the only Spanish referee who will lead this week's matches of the European competition will be the Extremadura Jesús Gil Manzano, who will referee Galatasaray-Benfica. Roberto Alonso and Diego Barbero Sevilla will be the line judges, Ricardo de Burgos Bengoetxea and Santiago Jaime Latre the area and the fourth referee will be Juan Yuste.